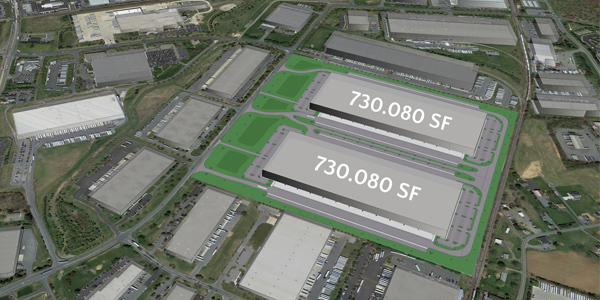 Park 100 Logistics Center, a rare infill development in the Lehigh Valley submarket, is a 92-acre site entitled for the development of 1.46 million square feet in a unique campus setting. 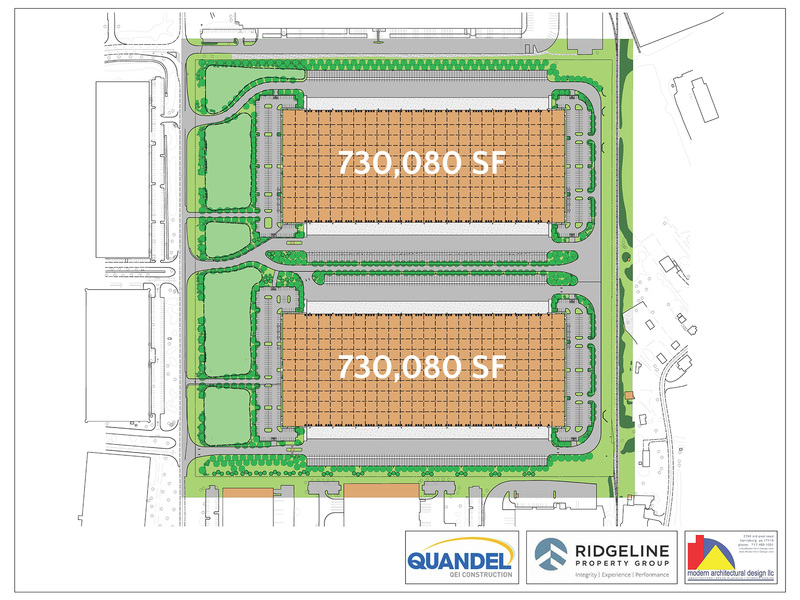 The two-phased development will consist of twin 730,080 square foot state-of-the-art logistics buildings in a preeminent location less than two miles from the Rt. 100/I-78 Interchange. More than 40% of the U.S population can be reached within a day’s drive from this location. Building features consist of 36’ clear height, 190’ dual truck courts, ESFR sprinkler system, 56’ x 50’ column spacing/70’ speed bays, 982 car spaces and 376 trailer spaces. Rail is available to the property and provided by Norfolk Southern.